…and the list could have gone on forever, but I’ll spare you the agony. The thing is that I’ve immersed myself in cookbooks for these past few months, and haven’t really had the time or the ‘correct’ head space, for lack of a better expression, for anything else, including cooking, baking and documenting any recipes. I’ve just started my autumn cooking, as in cooking recipes which are usually reserved for cooler months. 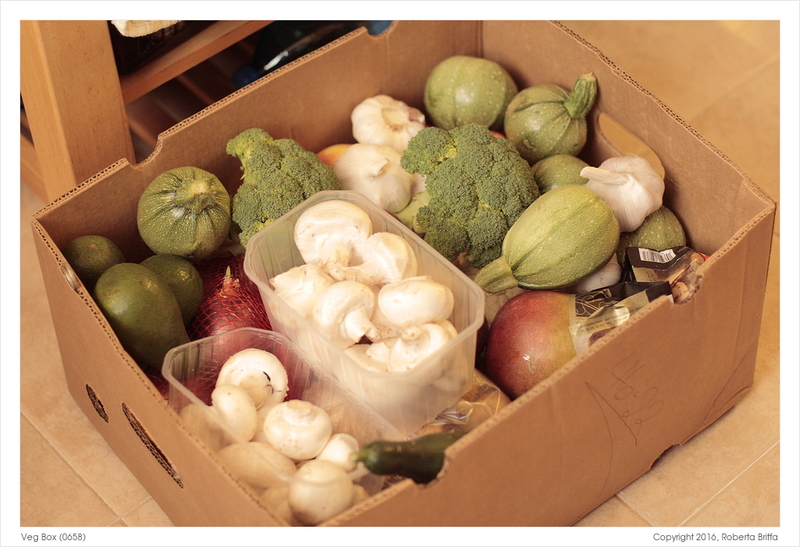 There’s not a lot I can say here, except that I bought this beautiful veg and fruit box a few weeks back. I was so happy with it that I snapped a few pictures as soon as it was delivered to me, at around 9.30pm on a weekday night. You wouldn’t think so though because J immediately held up the flash and reflector for me when he saw me reach out for my camera. It turned out pretty well. This is my method. I warn you: my concoction is a no-frills thing, no sugar no nothing; you don’t need it here. Just a banana or two, topped with milk. If you like you could always add one scoop of good vanilla ice-cream for your sugar fix if you really need one (preferably with those lovely brown specks of pods inside). A whiz in the blender and there you have it. Now that I remember, I do have some vanilla pods waiting to be used. What is your favourite breakfast meal? 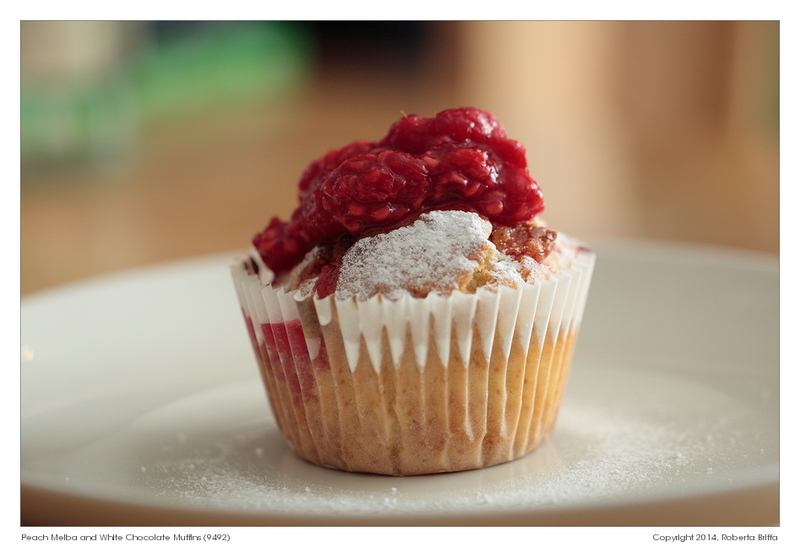 Preheat the oven to 175ºC and prep the muffin tin. Mash the bananas in a medium-sized bowl with a fork or even with your clean hands. 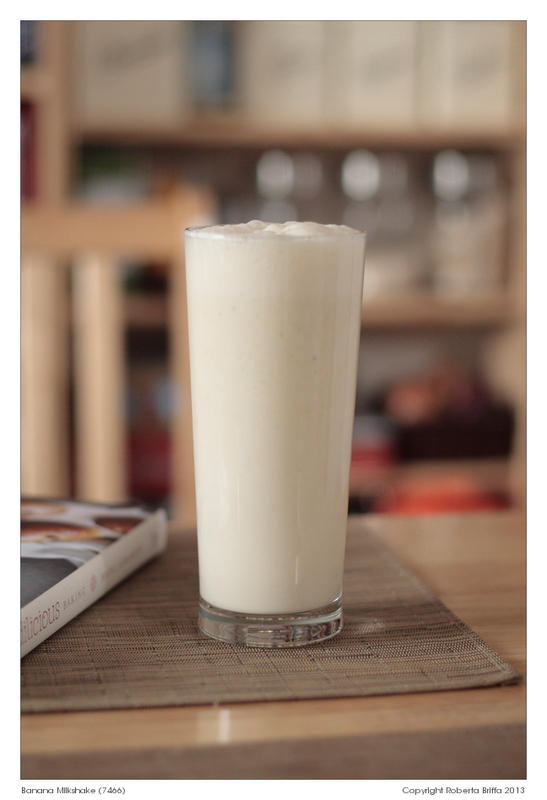 Take a whisk and beat the vegetable oil, eggs, vanilla extract and sugar with the bananas. Now take a wooden spoon (to avoid over-beating) and slowly add and mix the flour, sifted cocoa powder and baking powder. Your mixture should be lumpy. 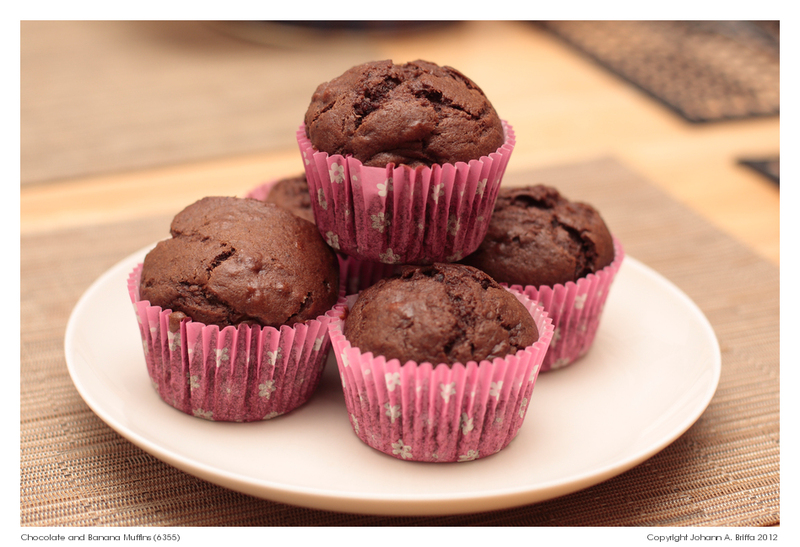 Tip each muffin case with some of the batter, dividing it into 12, and bake for around 20 minutes. Keep an eye on them to avoid burning. (I always take extra care when making muffins, I use to burn muffins a little bit more than I liked! But I’m getting there!) They should be done when their surface bounces back to the touch but insert a skewer in one of them to be sure. When the muffins have cooled for a little while in the tin, just take them out onto a rack, ready to cover in buttercream if you like. Enjoy and as always Happy Baking! Pretty weird as a title I know, but that’s how I felt when I baked this little beauty. My chocolate bakes which I have promised you will be posted soon, but today I thought about writing about a simple Madeira style cake which I love to prepare when I’m really up against it. I can never *not* have anything good to eat in this house, and neither should you – not that you must listen to everything I tell you but it’s nice to be prepared! Also there’s no need to remind my lovely readers that J eats for four, e di più! Preheat the oven to 180ºC/Gas 3. Grease and line a loaf tin. In a large bowl, beat the butter and sugar till they become creamy and fluffy. Add the beaten eggs slowly, then the vanilla extract. Sift the flour and baking powder together and slowly fold them into the egg mixture, with the ground almonds. 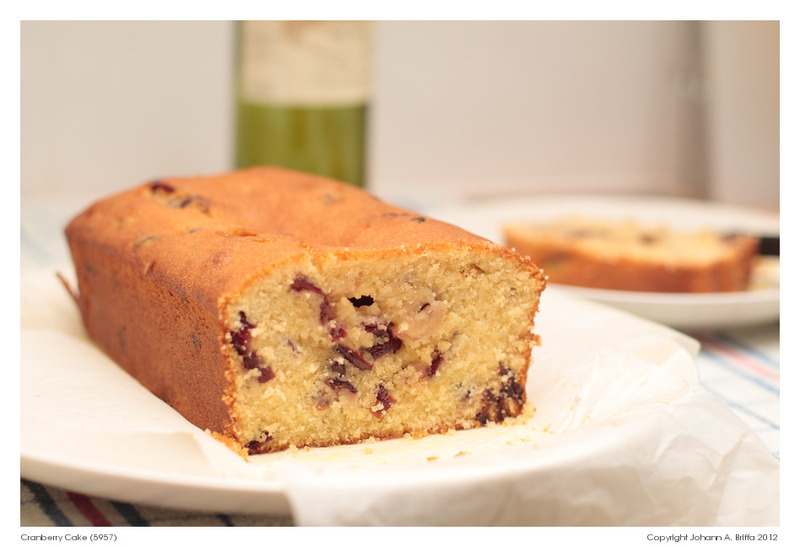 Fold the dried cranberries and the milk and pour this cake batter into the prepared loaf tin. Don’t worry if the mixture seems thick. It’s supposed to be that way. Bake for 45 minutes to an hour, but most importantly when a skewer comes out totally clean. Leave in the tin on a wire rack until the cake cools completely.